Cryptography Challenge! Code Wheel by IWorkInPixels #3dthursday « Adafruit Industries – Makers, hackers, artists, designers and engineers! In 1553, Giovan Battista Bellaso invented an encryption scheme that was considered unbreakable for another 300 years. This method was later misattributed to Blaise de Vigenere, and is thus now known as the Vigenere cipher. This method is a poly-alphabetic cipher, which means that the same letter may be encoded two different ways at different points in the message. This hides statistical data about letter frequency in the enciphered message. The Vigenere cipher does this by repeating a key word until it matches the length of the plaintext. Normally, this enables one to look for repeating substrings in the enciphered message to guess at the key word length. Once key word length is known, possible key words can be guessed at, and once one letter of the key word is correct, it will unlock others. If, however, the keyword is already as long or longer than the plaintext, then the Friedman test must be used to look for characters which have been enciphered using the same portion of the key and guess as to their meaning. The fact that the Friedman test doesn’t work well on short messages provides an additional resistance to cryptanalysis. Today, this encryption method became printable. 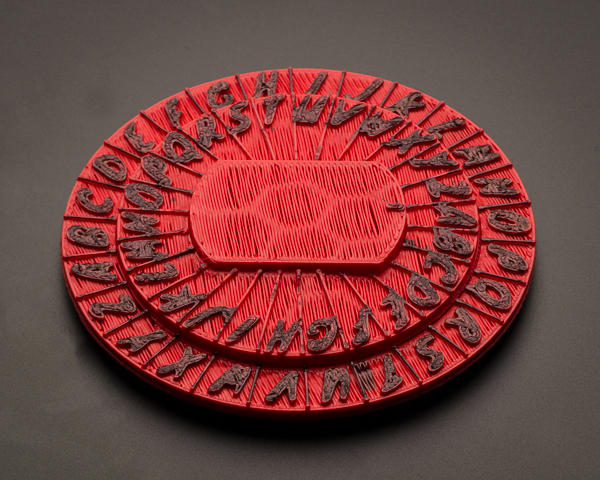 Thingiverse user iworkinpixels posted a code wheel which will allow users to encipher and decipher messages using the Vigenere cipher or the Caesar cipher. 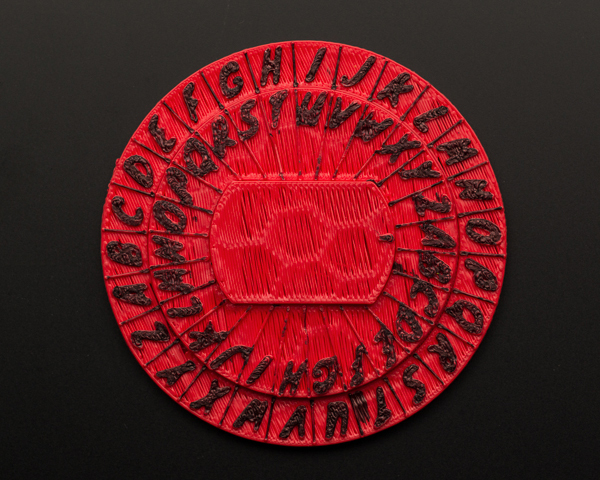 As an added bonus, he is offering a prize to the first person to successfully decrypt the ciphertext posted on the Thingiverse page! My dad taught me this cipher when I was a kid, and I’ve wanted for a long time to make a printable code wheel that would allow others to learn the cipher. This is some sort of variant on the Vigenere cipher but I’m not sure of the actual name of this variant, so if anybody knows, please let me know in the comments! I know it is also related to the key autokey and Alberti ciphers. In addition, I have a prize for the first person to correctly decrypt the ciphertext below and post the plaintext to the comments… I loved the steganography challenge in the Seej block, and it’s high time we had another contest… Good luck! UPDATE: There is now a monocase alphas only ciphertext of the same plaintext, which reduces your keyspace down to 4.0329146e 26 possible keys.